A complex number added to its additive inverse would give? Reason: (a, b) + (-a, -b) = (0, 0) which is the additive identity of complex numbers. Set of natural numbers is closed with respect to? Reason: A set has closure under an operation if performance of that operation on members of the set always produce a member of the same set. For natural numbers both addition and multiplication satisfy this properly, however, subtraction does not e.g. 4-5 = -1 which not a part of set of natural numbers. X + 2 is a factor of? Reason: Put x = -2 check which option vanishes. Its is very good for me.Its really helpful for me thats why i will joint this websites. We appreciate your interest in using pakprep.com. 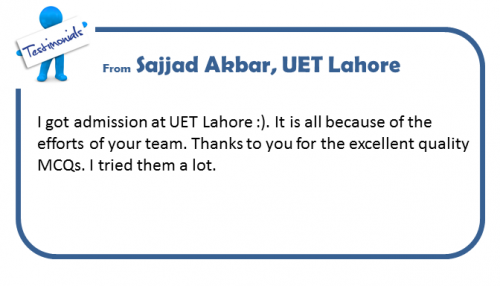 Thanks alot and we will suggest you do take all practice test to clear your concepts as much as you can in order to get good result in ECAT. We appreciate your interest in using pakprep.com. Please follow the bellow mentioned links for preparation of ECAT test. We have more than 15000+ fully explained MCQ’s and full length papers of ECAT. Agr mry pas ect ki book na ho to kia m UET test ki prepration kr skti hn? We appreciate your interest in using pakprep.com. Yes you can prepare for UET test. We have all course work for UET preparation. Please follow the bellow mentioned links for your preparation. We appreciate your interest in using pakprep.com. Dates are not announced yet however it is expected in December. Minimum 60% marks are required to get appear in NUST NET. Please follow the bellow mentioned links for your preparation. Plz can you help me to get ecat solved past papers with solution and any book which will prove fruitfull for me to get good marks in ecat. We appreciate your interest in using pakprep.com. 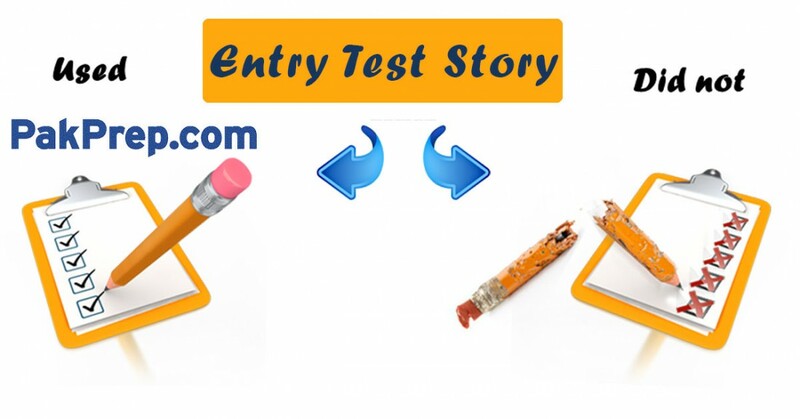 We have more than 15000+ MCQ’s with answers and explanation along with past papers and MOCk test which helps you in getting good marks in ECAT test. Please follow the bellow mentioned links for your preparation. Plz can give me etea msqs of maths as well as physics and chemistry for etea preperation to get good marks in etea.